There is immense satisfaction that comes from being able to build homes that bring such personal fulfillment to the families that we work with, and we look forward to building dream houses for the many families we have yet to meet. In the 15 years that we have been building in the area, we have won quite a few parade of homes awards. The ones that we are most proud of are 8 “Best of the Best” Gold awards (Including one in April 2018), and the exclusive “perfect score” award that is reserved for properties that have extreme attention to detail & design. This is all good, and certainly a measuring stick for our success, but for us, there is immense satisfaction that comes from being able to build homes that bring such personal fulfillment to the families that we work with, and we look forward to building dream houses for the many families we have yet to meet. 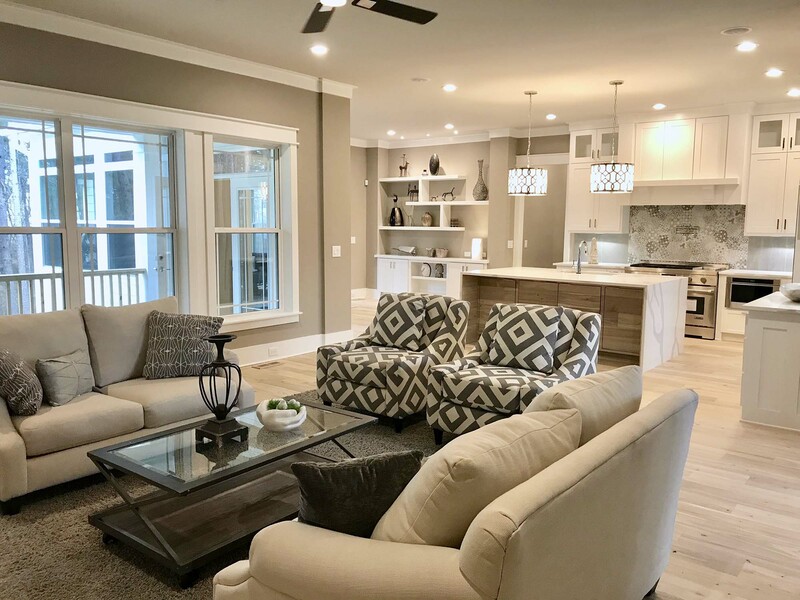 Completed homes are finished, turn-key ready homes for sale that were expertly designed and built by Kirkwood Builders. These are homes that are available during the construction phase, so you will still be able to choose all of the options you would like. These would start from a blank slate, and we will help you design/build a house that really fits your lifestyle. We can build on land that you already have, or help you find land in your desired area. line offering lots ranging in size from 3-7 acres. While situated in a rural setting, it is convenient to shopping in Flowers Plantation or Clayton and a 15 minute commute into Raleigh. confines of a planned community with horses permitted on Lots 1 & 7. Call us to discuss making Maggie Ranch your next home! Every house that we build has energy efficiency in mind. This means reducing monthly energy consumption, while still providing you with a home that maintains a consistent temperature and provides all of the luxury comforts you’re looking for. We understand that you lead busy lives, so we offer home automation features that makes your lives more convenient. Everything from thermostats, to lights, to blinds, we have systems that cover just about everything. Kirkwood Builds Houses all over the Triangle Area.